Coconut Milk Vegan Baby Formula… | Yummy Yummy Baby! I love Coconut Milk, Coconut Water, Coconut Meat, Coconut Oil, Coconut Candy, Coconut Cookies, Coconut Cake, Coconut everything! I am definitely cuckoo for Coconuts! As a child, my mother would repeatedly tell me how great Coconut is for my stomach and my skin. I always heeded her advice about the topical uses, especially for wrinkles and stretch mark prevention, but I never really ate Coconut for medicinal reasons unless she gave it to me. Coming from a Native American mom who would use food, plants and herbs as healing remedies, I came to learn that many of the remedies are now backed by Science. Upon the birth of my second son, I mysteriously developed a severe stomach bacteria. I was advised to temporarily stop breast feeding if I didn’t want to pass the bacteria back and forth. What was I going to do? I didn’t have a plan B for Breast Milk. I vigorously started studying every formula out in the market. I couldn’t believe what I found… I consistently found toxic ingredients that are known carcinogens in the majority of the world except the U.S. The majority of countries have banned the use of these ingredients, but we are giving it to our newborns and babies in our hospitals and homes?!? I felt as if I was in the twilight zone! This isn’t happening… this isn’t happening! 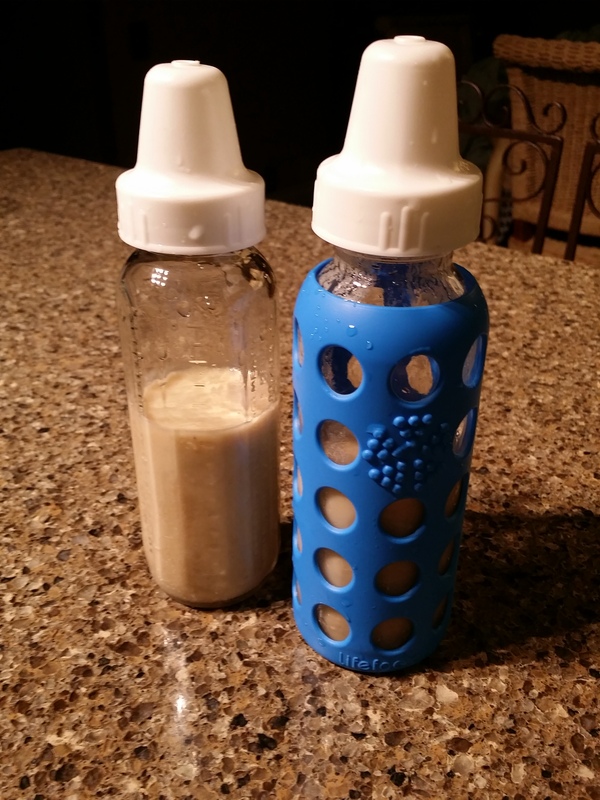 After studying further, I learned that there are many alternative home made milks that we can make for our babies who have allergies, bacterial infections, intolerances and sensitivities. Coconut Milk and Hemp Milk are similar to Mother’s Milk, they take some work to make, it requires adding various ingredients, but it is Healthy, Healing, Dairy Free, Gluten Free, Soy Free and Low on the allergy index. Please understand that I am not saying that Coconut Milk or other milk alternatives replace a Mother’s milk, I am saying you can create a safe alternative if Mother’s Milk is not a viable choice. Most of all, I am saying that Mother’s milk is a life force that can not be replicated by cows, goats or factories. Breast Milk is the sweetest milk I have ever tasted, yes… I tasted it, 🙂 and it is so understandable why babies prefer it, thrive the best on it and receive so many healing properties. Coconut milk has been found to treat and relieve sore throats and even stomach ulcers, and like Breast Milk, it is very calming to the body and digestive system. The nutrients in Coconut also aid the body in over all immune system health. It’s B vitamins also aid in many immune and nervous system functions. 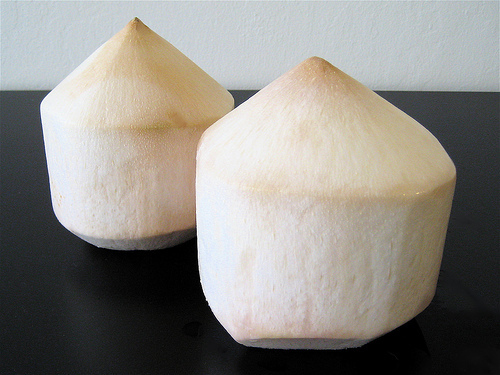 Unlike other unhealthy fats, the unique properties of Coconut also contain a large amount of MCTs and Lauric Acid, which is the primary fatty acid found in Mother’s Milk. Lauric acid is what makes breast milk so digestible and is believed to protect the body from infection and boost the immune system. The great thing is that Coconut Milk is great for all of us, regardless of our age! 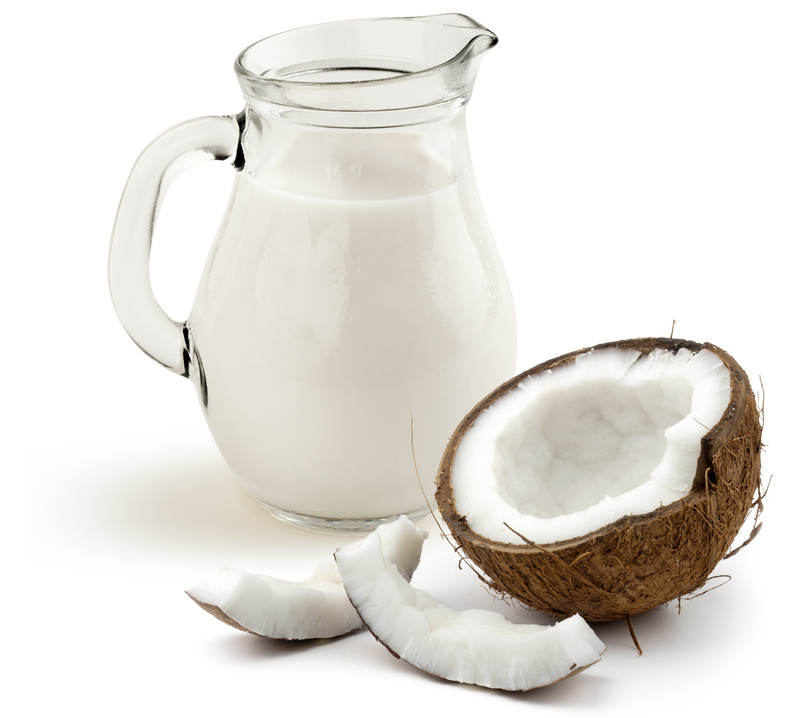 Home-made Coconut Milk is also a safe alternative for Diabetics who are concerned with the properties in Dairy Milk. Coconut Milk has a Low Glycemic Index and High Dietary Fiber. 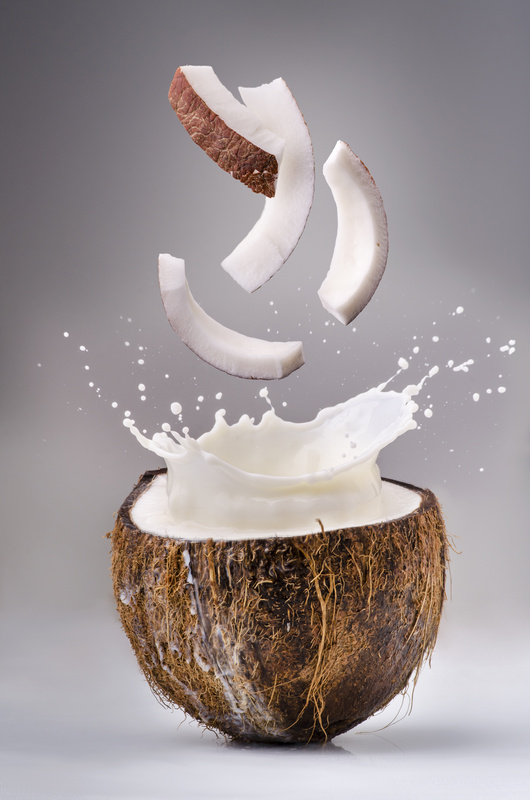 The human body cannot digest the dietary fiber in coconut, therefore it has no hazardous effects on Blood Sugar. 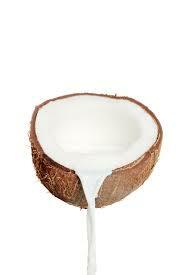 Best of all, Coconut Milk is lower in sugar than Dairy Milk. It turned out my baby did get the stomach bacteria and became very very ill and lost a severe amount of weight in less than a week. It was a very rough and scary time for us. After endless hours and days of research and consulting with various Naturopathic and Functional Medicine Doctors, we implemented the undeniable research on Coconut Milk, Oil and meat and it worked… It truly worked! 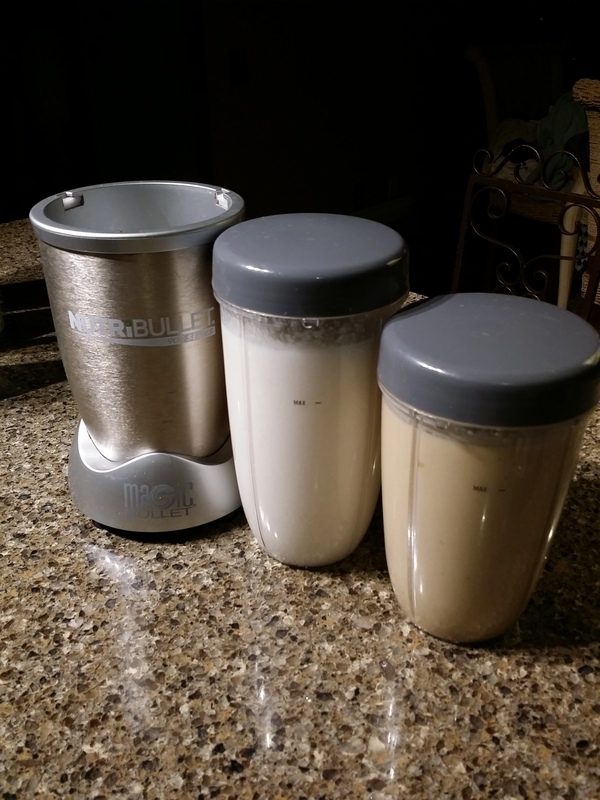 Combine all of the ingredients in a Large Cup Nutribullet and blend (you may have to split it in two depending on the size of your Nutribullet, Vitamix, Ninja, etc… Refrigerate immediately and use within 48 hours. The formula will separate from the oils, so please shake before pouring into a bottle or cup and gently warm for baby. ***We later discovered a formula we felt was not perfect, but pretty wonderful. It is a great supplement once your baby is a Toddler. The Name is Toddler Supreme by Peaceful Planet. Again, this blog does not replace the advice of your healthcare practitioner, this is me sharing what worked for my family. * Next up… How to make Coconut Milk! Mmm! Yummy Yummy Baby! This entry was posted in Baby Allergies, Baby Formula, Dairy Free Baby Food, Food Allergies, GAPS Baby Food, Gluten Free, Healthy Living, Homemade Baby Formula, Infant Health, Premature Babies, Rawvegan, Recipes, Vegan and tagged Allergies, Antibacterial, Antifungal, Antiviral, Aspergers, Autism, Babies, Baby, Baby Formula, Baby Recipes, Brain, BVitamins, casein free, Coconut, Coconut Meat, Coconut Milk, Coconut water, Cures, Dairy Free, Food Sensitivities, Gluten Free, Intolerances, Milk, MTHFR, Natural Cures, Pregnancy, Soy Free, Vegan. Bookmark the permalink. Pingback: Baby Food Allergies, Intolerances & Sensitivities: Why Fresh is Best! | Yummy Yummy Baby! Pingback: 8 Easy & Kid-Friendly Remedies that Straighten Wild Hair ~ Vegan & Gluten Free! | Yummy Yummy Baby! Can I freeze some of that milk for later use? Can I give this to my 6 week old baby ? My son is 2 months and I’ve been trying to find something like this.. how old can i give it to my son? Well he get everything he needs in this milk? Thank you! Hi Jenny, the best thing you can do is breastfeed… if this isnt a possibility, then please consult with your nutritionist or healthcare practitioner to do a vitamin and mineral assessment so you can make sure you are addressing any nutritional deficiencies or specific needs with this formula recipe! Hi Jenny, I hope your son is thriving! My apologies for not responding sooner. We did a lot of blood work to determine my son’s nutritional needs, I also assessed his symptoms. I just started my daughter on this formula last night. What other extras things you put nutritionally? Hi Laura, I hope she liked the formula! We put various things in his formula tbat were specific to his nutritional needs. Hi Maeva, thanks for your great question! Probiotics in the formula are generally a good and healthy thing, but it depends on the quality of probiotics that you would be using. 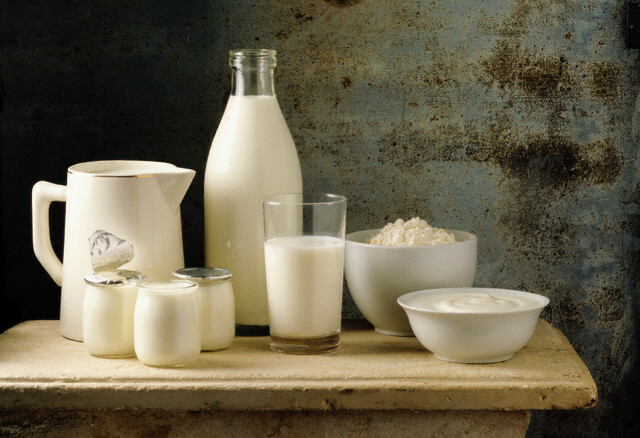 Not all probiotics are “clean”. We use Klaire Probiotics for infants. Many probiotics have many additives, fillers, binders and chemicals that are not alive or healthy for adults, let alone babies. Please consult your Natural Health Practitioner to determine if your brand is healthy for your baby! I was just curious if you can freeze this recipe? Thanks! Would this be safe for a 4-month old? I guess a better question would be — has anyone used this for a 4-month old with success? Do you ever used canned coconut milk instead of fresh? Would be as good?